NEW HOME FOR THE BLOG AT ELLIEDARKINS.COM! --is live and kicking. It's pretty, it's pink, it's packed with info about me and my books, and it's where all the cool kids will be hanging out from here on in. Lots of love, and thanks for your support for this little old blog. Keep my writing JOY Before writing was my job, it was my hobby and my passion. Contracts and deadlines have a way of sapping the joy out of anything, but if my maternity break showed me anything, it was how much I love my craft. missed a deadline yet and I have no intention of starting now. Be kind to myself Those first few thousand words when I came back to writing were never going to be my best. It's taken a while to hit my stride, and there have been times when I've lost faith in my talent and my craft. But I know I can do it. The book will get finished, and it will be good. 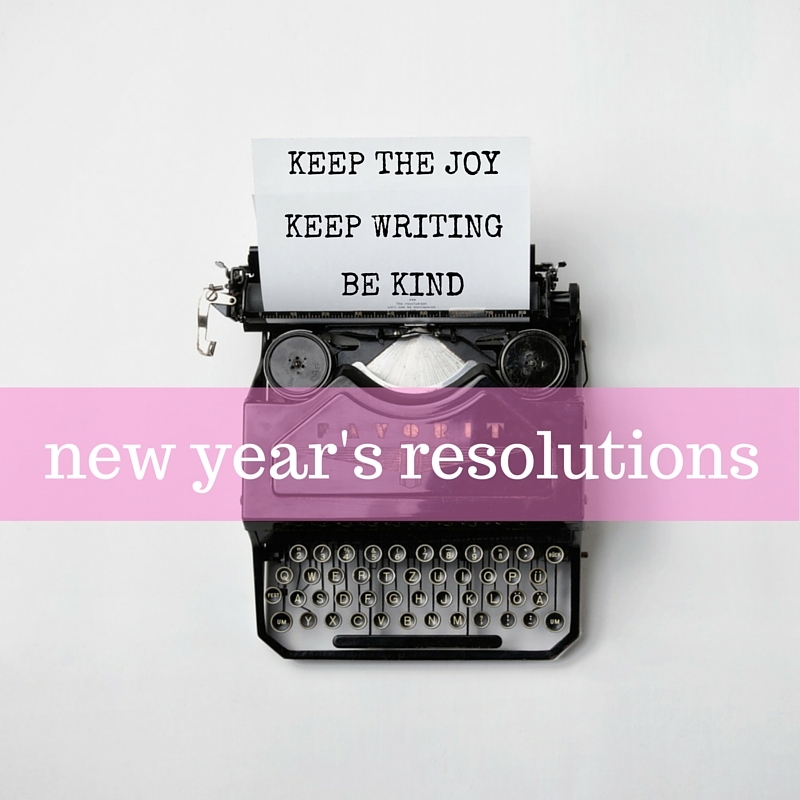 Has anyone else got inspirational resolutions to share? This week I've been combining the build-up to Christmas with writing the new book. My gorgeous hero and heroine (finally!) locked lips for the first time, so to celebrate, here is my favourite Christmas kiss! Oh, Dawn and Tim. I bloody love you two. Maybe we should see that again... It's the build up that gets me. Every. Darn. Time. May you all have many festive smooches this holiday season. And if you're headed to the office Christmas party, don't do anything I wouldn't do! I was lucky enough to be invited to a wedding in Winchester recently (GREAT wedding. There was a quiz - need I say more?!) and history geek that I am I couldn't resist the lure of the round table at the castle's old Great Hall. So I dragged long-suffering hubby and baby off to indulge my love of medieval history, regurgitate everything I knew about the Morte d'Arthur and generally be an insufferable know-it-all. Now, I flipping love a castle. There's something so visceral about being able to reach out and touch the walls of a building that has survived more than half a millenium, and trying to understand the lives of all the people who have touched that stone before me. And there is no shortage of inspiration in Winchester. The Great Hall did not let me down. I've got so ideas battling for my attention now I'm going to have to break out one of my shiny new notebooks and get them down on paper before I lose them. So many stories and so little time to write! This incredible painting covers the entire end wall and lists all of Winchester's representatives in Parliament. Why the blank spaces, though, I wonder? If anyone can enlighten me then please do! Has anyone else been finding inspiration in unusual places? The cliches are true YOU HAVE TO GET BACK ON THE HORSE, because let's face it, this here book ISN'T GOING TO WRITE ITSELF. There are bills to pay, a contract in place, not to mention the fact that you have been desperate to get started again for months. That's not to say that it's easy to do. I'll admit there was a moment -- okay, more than one -- when I first started writing again and I honestly thought, I can't do this any more. I got off to a creaky start, barely able to finish a word, never mind a sentence. The characters wouldn't behave, I kept finding huge gaps in my research. But luckily, it seems writing is LIKE RIDING A BIKE. If you push through it, just keep putting down word after word, then eventually you HIT YOUR STRIDE and before you know it Chapter Three is finished, your characters are getting steamy and it's all FALLING INTO PLACE. But you can't use them Because clichés are lazy, bad writing, and not only do you need to write this book, you want it to be good. Which means coming up with completely new and never-before-seen combinations of words to show the beauty and the heartache of two strangers meeting, falling in love, and trying to work out how to build a life together. One original word has to follow another, until you have fifty thousand of them. Writing's lonely No one can do it for you. Because those fifty thousand words we talked about? You're the only one who can write them. No one else knows your characters like you do, and no one can love them like you do, which means no one else can tell their story like you can. It's the best job in the world God I've missed it! The thrill when the words start spilling from your fingers and you have no idea who's making it happen. The joy when you weave together disparate strands to fix a plot hole. The sheer, unabashed bliss when you start off writing an awkward kiss and then all of a sudden everything's getting hot and steamy and the characters are telling you they want more. These are the moments that make us slog through the first stilted pages. Why I'll overcome my mortal fear of rereading the first chapter and go back and make it beautiful. Why I do a job that frequently leaves me crying into my laptop, over people who exist only to me, whilst wearing yesterday's pyjamas. Sometimes it feels like the hardest job in the world, but I wouldn't swap it for anything. Have you ever taken a break from doing the thing that you love? I'd love to her how you found it. As well as getting the new book moving, I'm also back on Facebook and Twitter, and would love to hear from you. My husband has one of these three in the bag (no, I'm not telling which!) but if you're looking for a man who has all this and more, I have just the thing! The Tall, Dark and Wealthy collection, featuring my first novel, Hiding from Hollywood is out now for the bargain price of 56p. Yes, eight, eight, hot, wealthy available men, waiting for you over at Amazon. What are you waiting for?! In other news, I'm starting to get back to work after my maternity leave! It's been a long, surprising, tiring, incredible seven months with my little girl, but I've purchased my back to school stationery, got a million ideas racing round my brain, and some beautifully pristine notebooks waiting for my attentions, and I cannot wait. Expect to see a bit more of me around here, and on the Facebook and Twitters - sorry about that! Newborn on her Doorstep is finished, published, and unleashed on the world! Which means that it must be that time again when I gush like an Oscar winner (in the good old days, before they started turning up the music) and thank all the incredibly generous and talented people who helped me get a book from a scratching of an idea into a real-life novel. Alexia, for the most enthusiastic reaction to a first chapter ever, and all the advice on life with a newborn ... how little I knew back then!